Aprilaire 800 Automatic Steam Humidifier (Digital Control) | Lowest Price! Lennox X6675 - Healthy Climate Carbon Clean 16 HCF20-16 MERV 16 Filter Replacement - 20" x 25" x 5"
This is a brand new, genuine Aprilaire 800 Steam Humidifier. The Aprilaire 800 humidifies tightly-constructed homes up to 6,200 Sq Ft. The Aprilaire 800 Steam Humidifier is a self-contained devise that boils tap water to create steam. This system uses a distribution tube to transfer the steam to the duct work into the moving airstream allowing a drip free transfer! 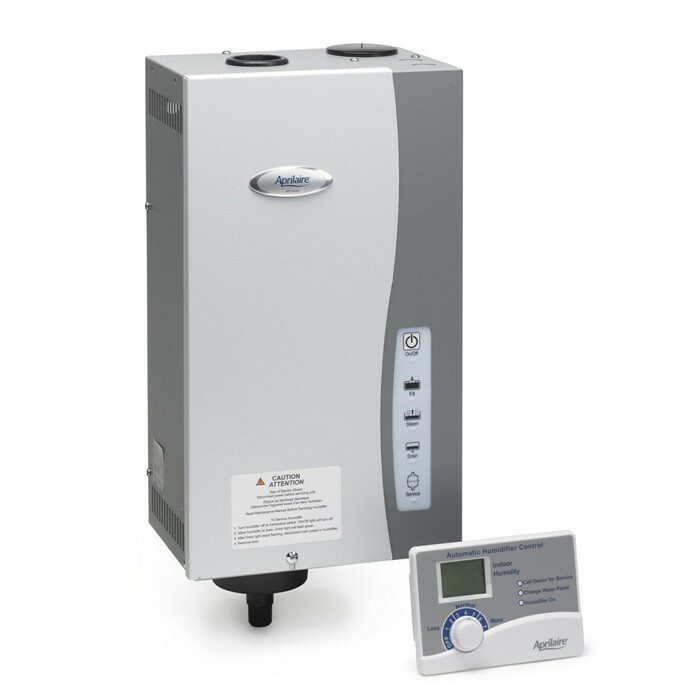 The Aprilaire 800 steam humidifier is easy to install with no accessories required. Maintenance is as easy as removing the canister once a year and replacing it with a new one. It is designed for remote or duct mount with no additional accessories. This residential steam humidifier offers steam dispersion technology which ensures proper dispersion into the air, preventing condensation in the duct work. *Note: If you do not have a centralized, forced air system in your home, you will need to purchase the Aprilaire 865 Ductless Steam Humidifier, which includes the humidifier and the Aprilaire Fan Pack to provide humidification to your home without the need of ductwork. Click here for the Aprilaire 865. Everything you need for installation is included: Control, dispersion tube, steam hose and drain tube included with the Aprilaire 800 steam humidifier. If you have any questions regarding this product please feel free to email support@DiscountFurnaceFilter.com or call 1-888-623-4678 and one of our friendly Customer Experience Representatives will be more than happy to help.